Home / Automotive / Spotted / Video: Crazy Driver Sets World Speed Record Driving On Two Wheels!! Vesa Kivimäki from Finland has recently set the world record for driving his car on only two tires at 116mph!! 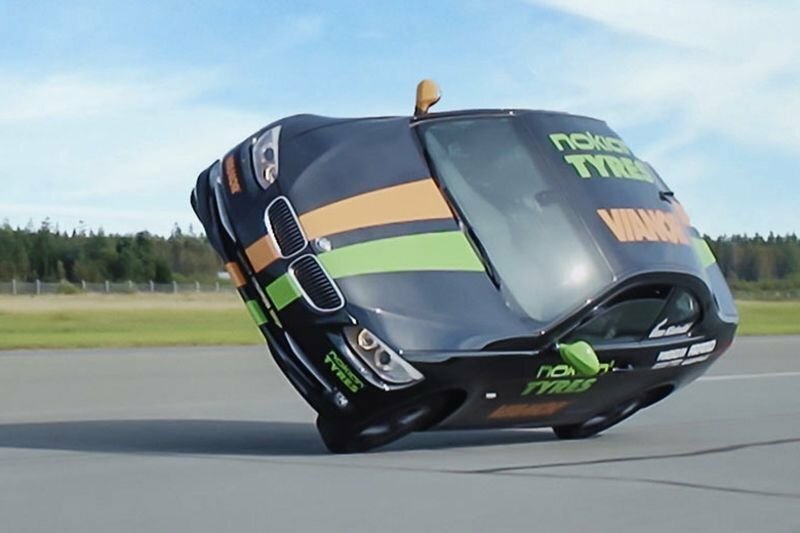 They do not call him Crazy Vesa for nothing, he is 41-years-old and a professional stunt driver and recently teamed up with tyre manufacturer Nokian Tyres to attempt to break the world record for the fastest side wheelie in a car - a record that has remained unbeaten for 19 years! On an airport runway in Seinäjoki, Finland, the daring driver raced int the record books on two wheels at a speed of 115. Vesa broke the previous record of 181.25 km/h (112.62 mph) that was set over a 100 m flying start by Göran Eliason from Sweden on the two wheels of a Volvo 850 Turbo in Såtenäs, Sweden back in 1997. Watch as the Science Channel explains how it is possible to drive like this. What If You Chained 32kg Kettlebells To Your Wheels? Video: Your Sweat Could Save You... Thanks, Nissan! Self Driving Cars With A Human Mind? The Six Levels Of Driving Autonomy Explained! Video: Funny Driver Fails Compilation! Video: 8 Of The Strangest Cars You Have Ever Seen! Video: Ultimate Driving Fails 2017! Video: A Self Driving Car That You Will Have Control Over.